This is a fake Japanese Mini LP. It looks very much like the real thing but is not. 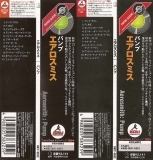 A real version of this product (made in Japan with royalties going to the artist) exists. This is a forgery. The most notable difference between this and the real thing is the printing of the CD. 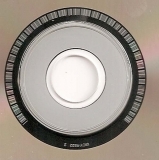 Most fakes have a noticable ring about 9mm from the centre hole of the CD (ie. a ring about 33mm in diameter). 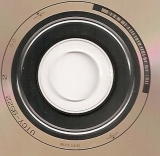 The printing on the CD is also often different to the Japanese. The cover is usually only noticably different if you hold the real and fake side by side. Find out more about fakes here Search eBay WITHOUT fakes here. Please see the additional images for a direct comparison of the fake and the original.